Drones have long been tipped for widespread use in future smart cities, including delivery services, search and rescue operations and surveillance. However, powering the unmanned aerial vehicles has so far been limited to small battery packs, giving them a flight time of only around 20 minutes. 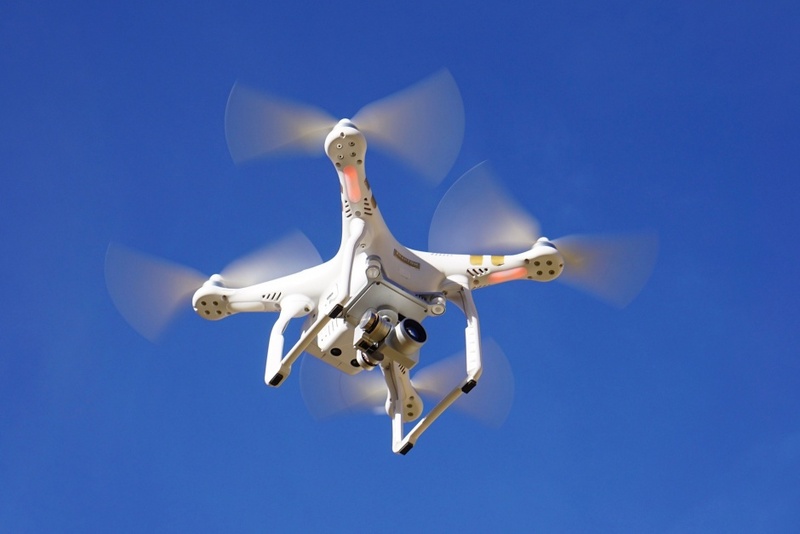 Now researchers at Queen’s University Belfast are developing technology that could see the drones powered by microwave beams from the ground, opening up the possibility of continuous flight. Existing wireless power transfer (WPT) systems require very close proximity, such as the charging pads used for smartphones and electric cars, based on electromagnetic induction. Instead, in an EPSRC-funded project, which also involves Qinetiq, the researchers are developing RF-DC technology to wirelessly transfer up to 200W over distances of around 25m, according to Dr Neil Buchanan, the project leader. As part of the project, the researchers will be developing new wireless power transmitters and receivers, said Buchanan. For the transmitter, the researchers are investigating the use of a retrodirective antenna that can automatically direct a microwave beam towards a target. Small, arbitrarily spaced transmitter sub-arrays will be used to enhance the efficiency of the WPT system. Aerospace engineers at Queen’s will be tasked with ensuring the drones are still able to fly, when equipped with a wireless power receiver. At the end of the project, the team plan to carry out a laboratory demonstration of high efficiency microwave WPT, as well as a vertical take-off and landing, continuous flight by a drone powered by the wireless system. As well as powering drones, the technology could potentially be scaled up to larger aircraft, among other applications, according to Norbert Sagnard, business development manager at the Centre for Wireless Innovation at Queen’s University Belfast. i wonder if research into this could lead to electric cars being charged as they drive along motorways thus extending their range? Transmitting a focused beam of microwaves towards a target sounds more like a weapon rather than a wireless power transfer (WPT) system. I could not agree more. Why not power drone using highly energy dense fuel? Gasoline or even 1-butanol comes to mind. They make “silencers” for the exhaust, and even there, research dollars would not be wasted in lowering decibel levels even further. As to microwave power transmission, we have all seen papers on orbital stations with vast solar arrays generating power, then converting it to microwave for directed transmission to antenna array on the ground, while the farmer happily continues to plow his field in the receiver array. Also, I suggested to the U.S. Department of Defense that they investigate a 50 MW maser in space able to beam transmit at approximately 25 cm beam waist, and raster scan a denial zone in perhaps Afghanistan, back during the days of OBL and the heyday of the Taliban. 200 W at 2.4GHz or 5.8GHz – licence-free portions via a dish or many element Yagi beam is difficult RF engineering. I assume that’s ERP from the antenna or the battery pack and heatsinks will be crippling heavy to transport. I hope these people are good at designing tight band pass filters or they will be nightmare neighbours in the radio spectrum. Broadcast power was Tesla’s dream. As already stated, I don’t think the technology is quite there yet to do this safely and non-intrusively. To dream still further, wouldn’t it be nice to only use batteries as back-up and just power all vehicles via RF-DC. And good luck in their efforts to maintain focus as the target moves ; a tethered approach using a laser and fibre seems to work quite well at similar height (though I suspect efficiency is lower). I liked the roast sparrow comment – though of course one would not want to use a frequency that was one of the peaks for water dissipation.